This weekend we have a few open houses – in Avondale & in Jacksonville Beach. Please come by and tour these beautiful homes this weekend. We have wonderful agents available to assist you and answer any questions you may have. Enjoy Historic, but hate to renovate? 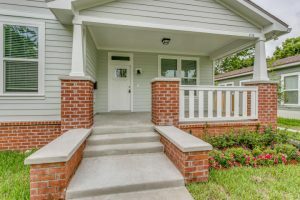 No need to with this Brand New Construction in Riverside! Close to some of the best restaurants and coffee shops that Jacksonville has to offer! Bright & open kitchen with white cabinets, granite counter tops and stainless steel appliances & beautiful hardwood floors. Master Suite and Guest bathroom boast granite counter tops as well. Master bedroom has a spacious walk in closet with a beautiful glass enclosed tile shower. Wooden deck off the rear of home, with rear parking and alley access makes this home extremely desirable. BACK ON MARKET!! 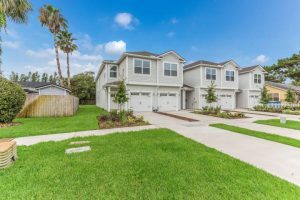 Beautiful, brand NEW Construction townhome in Jax Beach within​ walking distance to the ocean, public parks, and local restaurants! Nice wood-look tile floors throughout the common areas with carpet in the bedrooms. Gorgeous granite counter tops, white cabinets and stainless steel appliances in the kitchen. Spacious master bedroom with tray ceilings. His and hers sinks in the master bathroom with oversized garden tub and glass enclosed walk in shower.